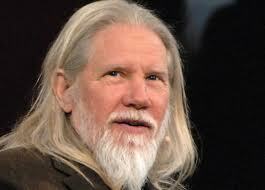 Diffie co-authored a paper "New Directions in Cryptography" that was published in 1976. It introduced a radically new method of distributing cryptographic keys, that went far toward solving one of the fundamental problems of cryptography, key distribution. It has become known as Diffie–Hellman key exchange. The article also seems to have stimulated the almost immediate public development of a new class of encryption algorithms, the asymmetric key algorithms. In 1991 he joined Sun Microsystems Laboratories (in Menlo Park, California) as a Distinguished Engineer, working primarily on public policy aspects of cryptography. Diffie remained with Sun, serving as its Chief Security Officer and as a Vice President until November 2009.